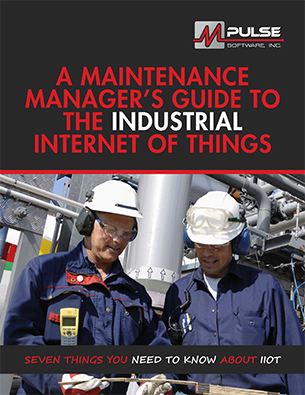 A Maintenance Manager’s Guide to the Industrial Internet of Things, Part 7: What Are the Biggest Challenges IIoT Must Overcome? Maintenance managers know better than anyone—change can cause unexpected challenges. Let's continue our IIoT discussion by reviewing the issues you'll need to consider. The number one challenge to IIoT implementation is concern about security. If your operations are exposed to the world via the Internet, how can they be protected? The anxiety is understandable. There are already best practices and a wide array of evolving technologies companies can employ to minimize risk. But it’s important to remember that organizations don’t necessarily need to expose metrics or controls to the Internet to move forward. While this doesn’t eliminate the threat altogether, it does lessen it considerably. The benefits of IIoT technology can be leveraged internally, if a company chooses not to connect beyond its own facilities. This can be a great option for small and mid-sized companies that aren’t operating across borders or on a global scale. Standards are another important issue that relates to interoperability. Currently, six or seven standards bodies are working on standards for the IIoT; all are hedging their bets (and many players are involved) as the industry moves toward developing a single or unified standard. Until “a standard” is reached (i.e., that provides standardization in the technology stack and ability to integrate across technology vendors, standard protocols for sharing between IoT systems, and standard access to external data sources), companies are well served to choose flexible technology solutions that can work with any standard. Finally, the challenge of organizational skillsets is primarily a cultural one, with the principal need being the integration of OT and IT. The challenge is also an educational one of upgrading or retooling maintenance staffing to operate in the new ecosystem the IIoT creates. Recruiting and hiring practices, too, will need to be re-examined. Next time, we'll complete our series by discussing how the IIoT is taking maintenance into the future. In the meantime, you can download the entire e-book here, or contact us with questions. * Forrest, Connor, “Nine Best Practices to Improve Security in Industrial IoT,” TechRepublic, http://www.techrepublic.com/article/9-best-practices-to-improve-security-in-industrial-iot/.